BANGKOK — Daw Aung San Suu Kyi, the Burmese pro-democracy leader, was sentenced Tuesday to three years of hard labor, but her sentence was commuted to a new term under house arrest of up to 18 months, diplomats reported. In a trial that was being closely watched — and had been roundly condemned — by the international community, the court in Myanmar found her guilty of violating the terms of the house arrest under which she has already been held for 14 of the last 20 years. She was put on trial after an American intruder swam across a lake in downtown Yangon and spent two nights at her lakeside villa in early May. The intruder, John Yettaw, 53, of Falcon, Missouri, was sentenced Tuesday to seven years of hard labor, according to the diplomats, who were reached by telephone in Yangon, the main city in Myanmar, the former Burma. Mr. Yettaw was reported last week to have suffered a series of epileptic seizures and to have been taken to a hospital. On Tuesday he was reported to have been returned to his cell in preparation for the reading of the verdict. Mrs. Aung San Suu Kyi’s sentence means she will be able to return home from the prison guest house where she has been held since the trial began in May 18. Her lawyer, U Nyan Win, said Mrs. Aung San Suu Kyi, 64, the 1991 Nobel Peace Prize laureate, had been “prepared for the worst” and had collected a supply of reading matter and medications to sustain her. She had been facing a prison term of up to five years. “From my point of view she is innocent and she should be acquitted,” Mr. Nyan Win said, speaking by telephone in advance of the verdict. Mrs. Aung San Suu Kyi’s trial has been a setback for the emerging possibility of improved relations between Myanmar and Western nations, particularly the United States, which had said it was reviewing its policy of economic sanctions and political confrontation. 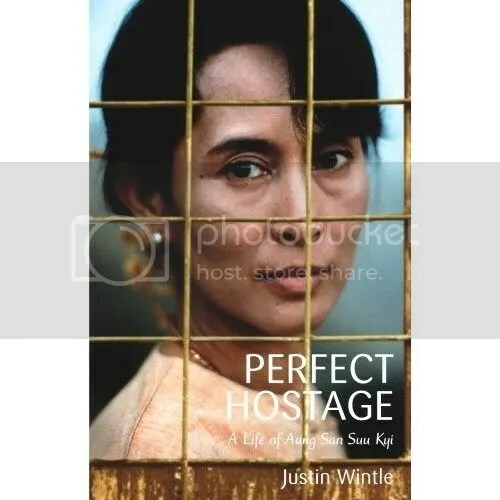 As a “welcome first step,” it called for the release of Mrs. Aung San Suu Kyi along with all 2,100 political prisoners said to be detained by the military junta. Some analysts have called the arrest of Mrs. Aung San Suu Kyi a ploy to keep her in detention at least through a parliamentary election scheduled for next year. Her latest six-year term of house arrest expired in mid-May. The election could put a civilian face on the military rule that has isolated and impoverished Myanmar, formerly Burma, since a coup in 1962. It will be the first nationwide election since 1990, which the military annulled after Mrs. Aung San Suu Kyi’s party, the National League for Democracy, won by a landslide. 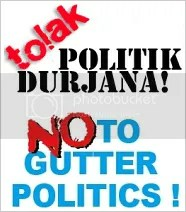 The government newspaper, The New Light of Myanmar, has insisted that the trial of Mrs. Aung San Suu Kyi, like those of the other prisoners, is not political, but is based on pure criminal conduct. Since her arrest on May 14, Mr. Nyan Win said, she has been held in an individual dormitory in Insein Prison, where the trial is being held. He said she lives on the second floor together with two female housekeepers who were arrested and charged with her. Five prison matrons live on the ground floor, he said. During the trial, which began May 18, Mr. Nyan Win said Mrs. Aung San Suu Kyi declared her innocence and said that she was being charged for political reasons. At a news conference last week in Yangon, the national police chief, Brig. Gen. Khin Yi, said that 20 police officers had been demoted, and that some had been given jail terms for allowing Mr. Yettaw to breach security. Mark McDonald contributed from Hong Kong. YANGON, Myanmar – A Myanmar court convicted democracy leader Aung San Suu Kyi on Tuesday of violating her house arrest by allowing an uninvited American to stay at her home. The head of the military-ruled country ordered her to serve an 18-month sentence under house arrest. The 64-year-old Nobel Peace laureate has already been in detention for 14 of the last 20 years, mostly under house arrest, and the extension will remove her from the political scene when the junta stages elections next year. But the term was less severe than the maximum sentence she faced — five years in prison — and shorter than the one the court initially ordered Tuesday — three years with hard labor. Five minutes after that sentence was read out, Home Minister Maj. Gen. Maung Oo entered the courtroom and read aloud a special order from junta chief Senior Gen. Than Shwe, cutting the sentence in half and saying it could be served at home. Than Shwe‘s order, signed Monday, likewise reduced the sentences of Suu Kyi’s two female house companions, Khin Khin Win and Win Ma Ma, to 18 months. Both are members of her political party. The junta leader said he commuted the sentences to “maintain community peace and stability” and because Suu Kyi was the daughter of Aung San, a revered hero who won Myanmar‘s independence from Britain. It seemed likely it was in response to intense international pressure, including a call for Suu Kyi’s release from the United Nations that was backed by China, Myanmar’s key ally and benefactor. Suu Kyi looked alert but tired during the 90-minute court session. She stood as the verdict was announced and then thanked foreign diplomats for attending her trial. “I look forward to working with you in the future for the peace and prosperity of my country and the region,” Suu Kyi said in a soft voice to diplomats seated nearby. She then was led out of the courtroom. Officials said she was driven back to her lakeside villa in a six-car convoy. They spoke on condition of anonymity due to the sensitivity of the high-profile case. One of her party members tied yellow ribbons at the gate and two nearby trees as a gesture of welcome. Suu Kyi had been in prison during the trial. Yettaw — who swam across a lake, entered Suu Kyi’s home uninvited and asked to spend two nights before trying to secretly swim back — was sentenced to seven years in prison with hard labor. Suu Kyi’s trial has sparked international outrage and calls for her release and that of Myanmar’s more than 2,000 other political prisoners. The sentence sparked angry reaction from across the globe. “The facade of her prosecution is made more monstrous because its real objective is to sever her bond with the people for whom she is a beacon of hope and resistance,” Brown said, calling the verdict a “purely political sentence” aimed at keeping her out of the 2010 elections. Suu Kyi’s international lawyer, New York-based Jared Genser, said her most recent period of detention violated Myanmar‘s own laws. “The real question is how the international community will react — will it do more than simply condemn this latest injustice?” he asked. The 53-year-old Yettaw, of Falcon, Missouri, was returned to Insein prison, the site of the trial, on Monday night after hospitalization for epileptic seizures. The court sentenced him to three years in prison for breaching Suu Kyi’s house arrest. Yettaw was also sentenced to three years in prison for an immigration violation and to another year for swimming in a restricted zone. It was not immediately clear if the prison terms would be served concurrently, but Suu Kyi’s lawyer Nyan Win said that if a court does not specify otherwise, sentences are usually served consecutively. Yettaw, a devout Christian, earlier told his lawyer that he swam to Suu Kyi’s residence to warn her of an assassination attempt that he had seen in a vision. Yettaw was hospitalized last Monday after suffering seizures. He reportedly suffers from epilepsy, diabetes and other health problems, including post traumatic stress disorder from his service in the U.S. military.